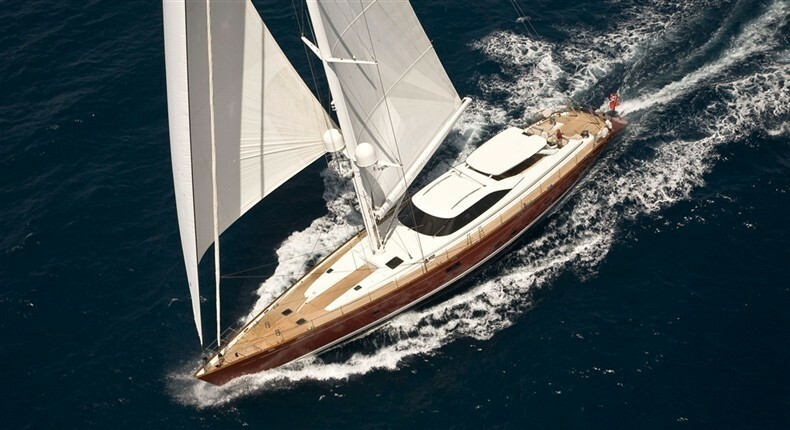 Super yacht LUDYNOSA.G (ex ZULU and HELIOS) is a 37.48m (123ft) sailing yacht that was the second Dubois designed yacht to be built at Fitzroy Yachts in New Zealand. 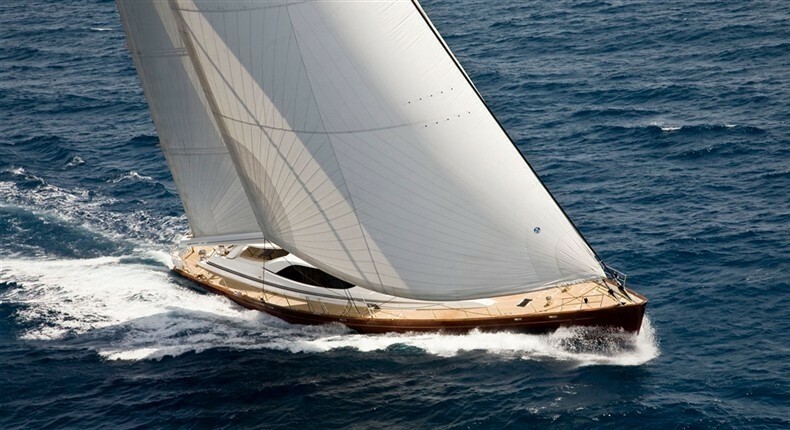 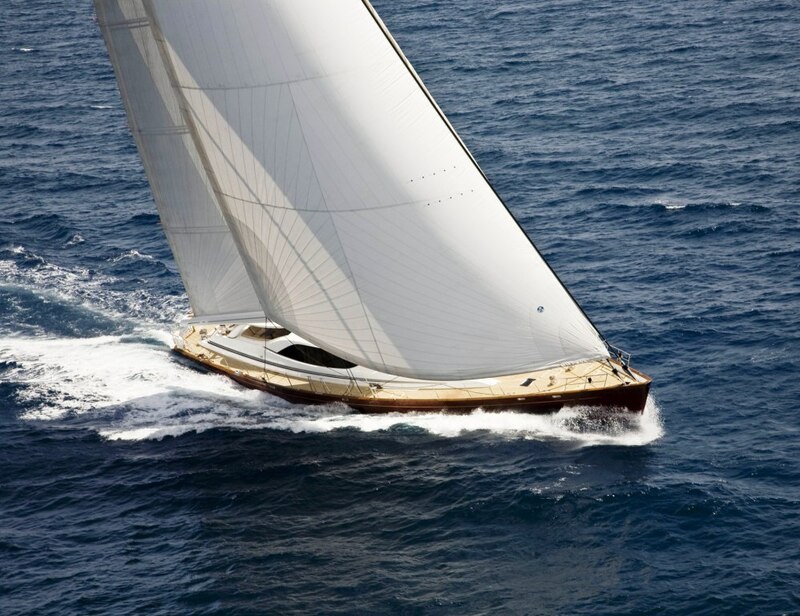 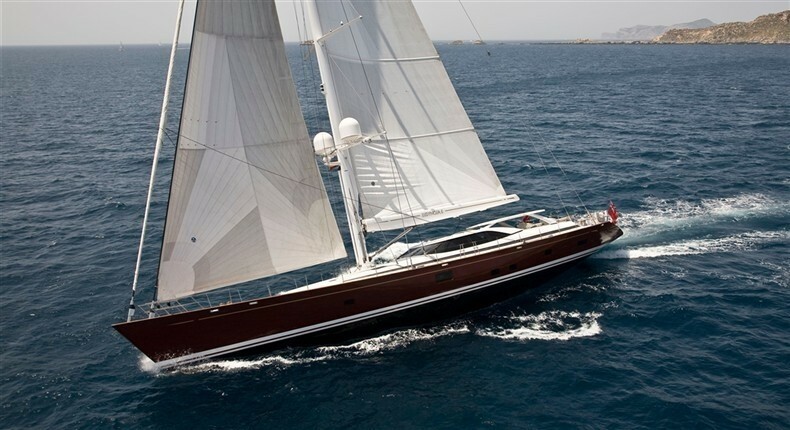 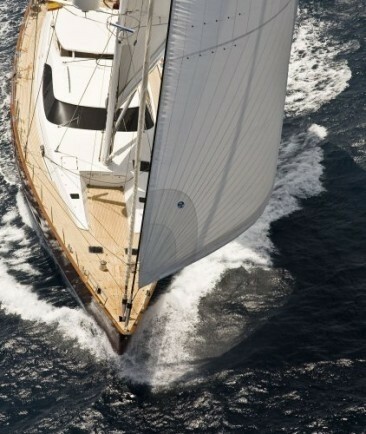 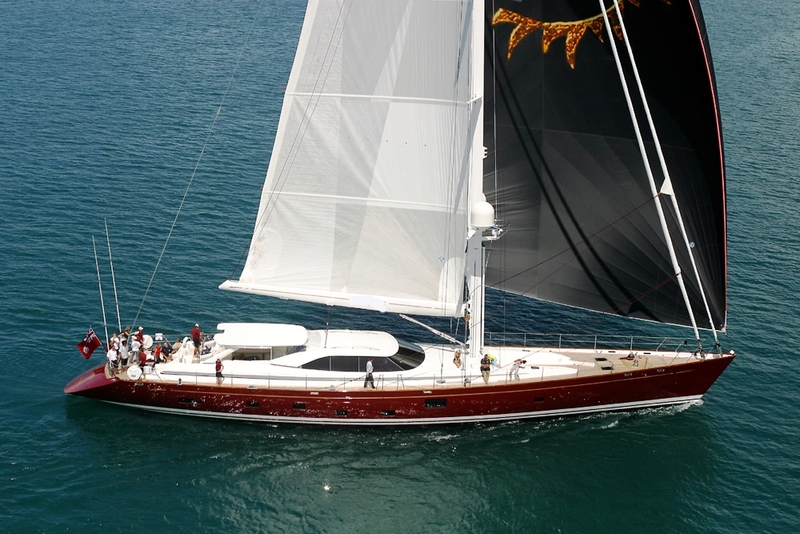 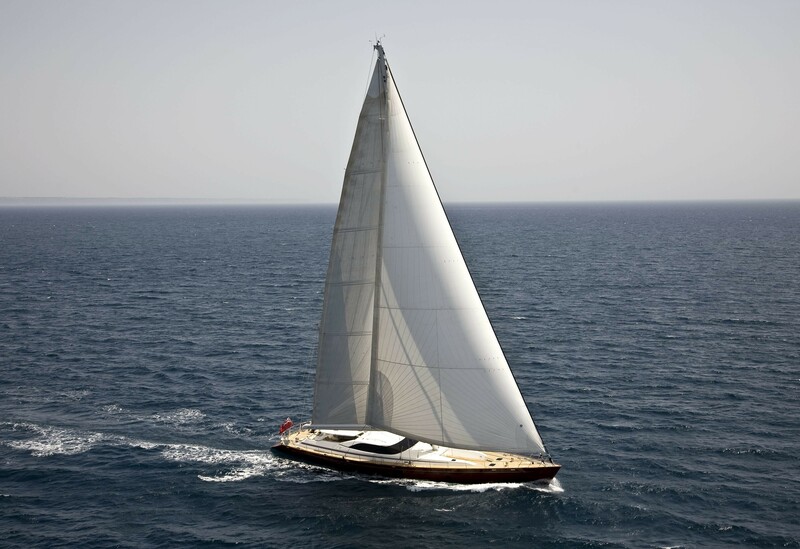 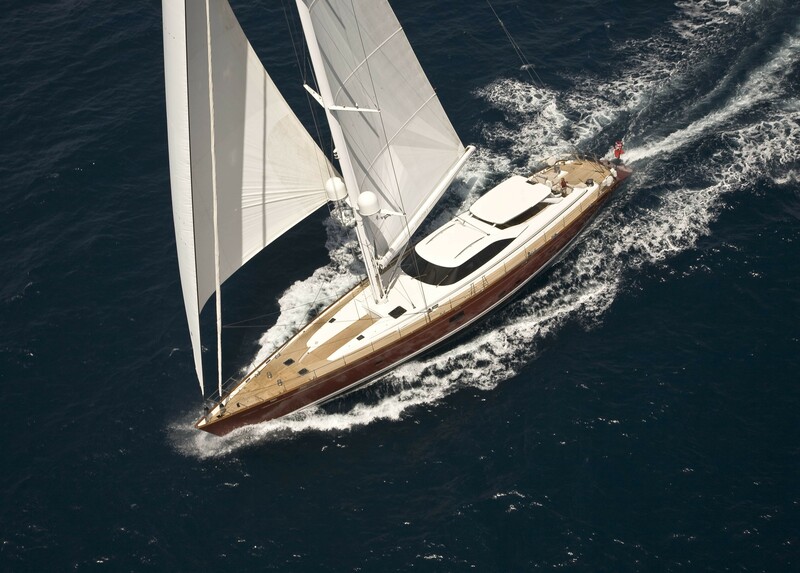 Sailing yacht LUDYNOSA G (ex ZULU and HELIOS) offers a sleek design as well as excellent sailing performance and comfort. 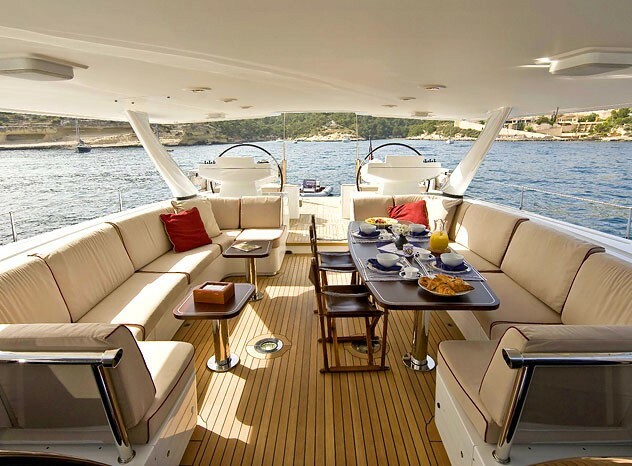 Close attention was given to her exterior styling detail resulting in a stylish, high volume yacht. 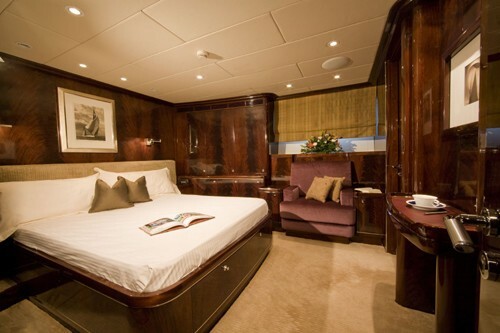 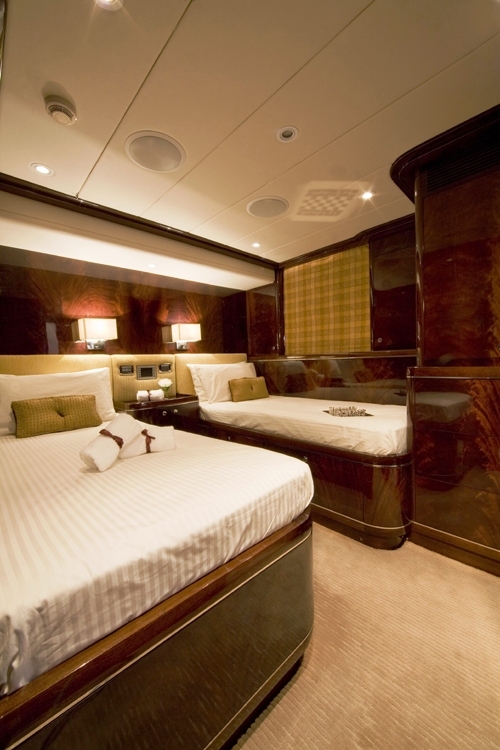 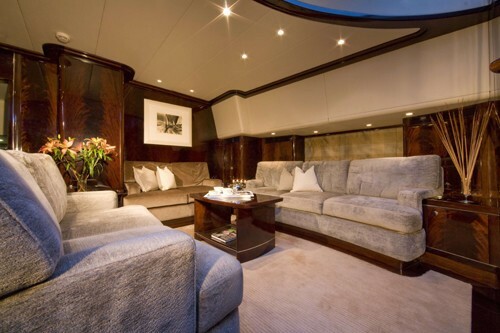 Sail yacht LUDYNOSA G’s beautiful interior was styled by Redman Whiteley Dixon. 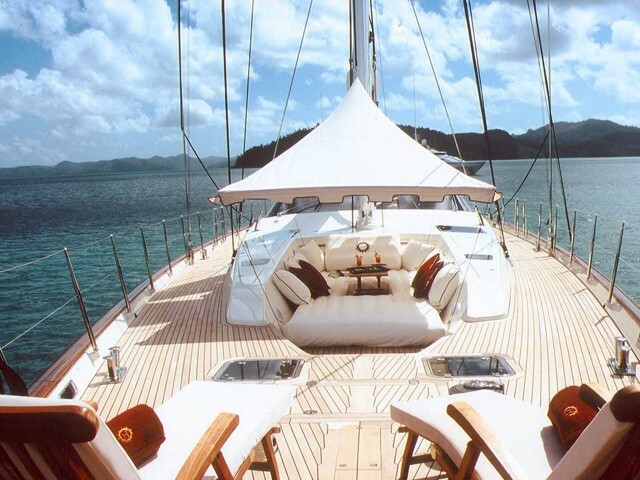 The Dubois sailing yacht LUDYNOSA G is able to accommodate up to10 guests in four luxuriously appointed cabins, including 2 twins with pullman berths, one double cabin plus her full-width Owner's Suite located aft. 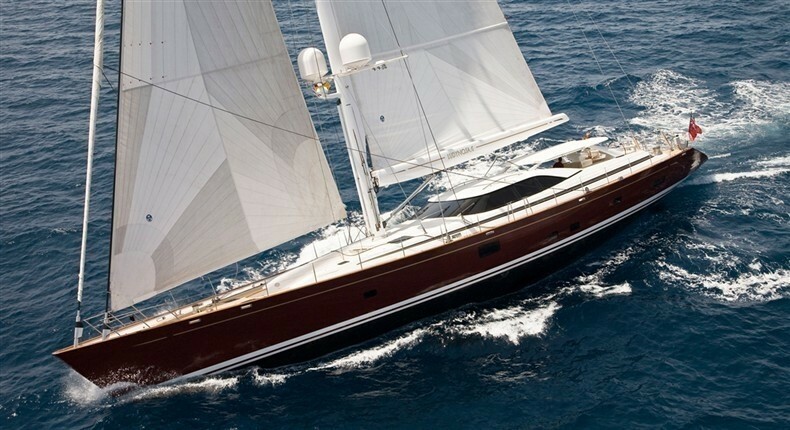 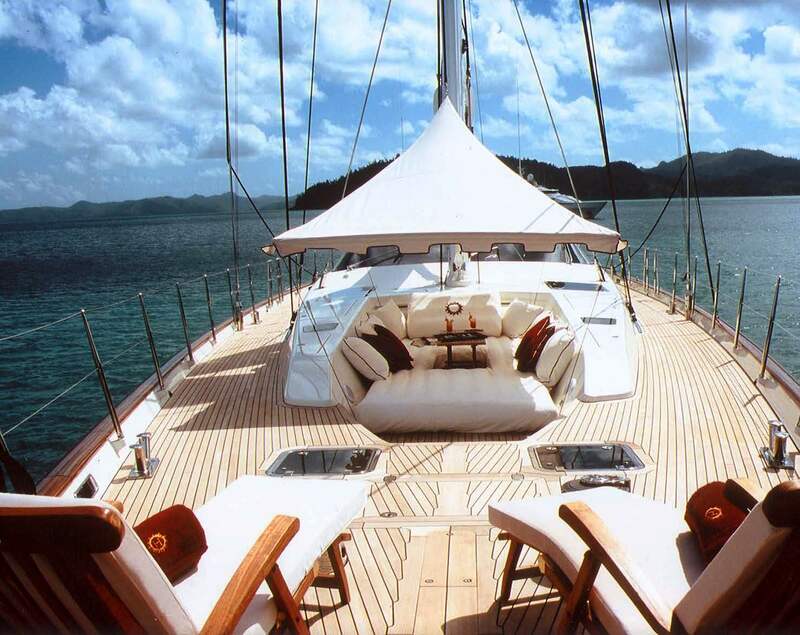 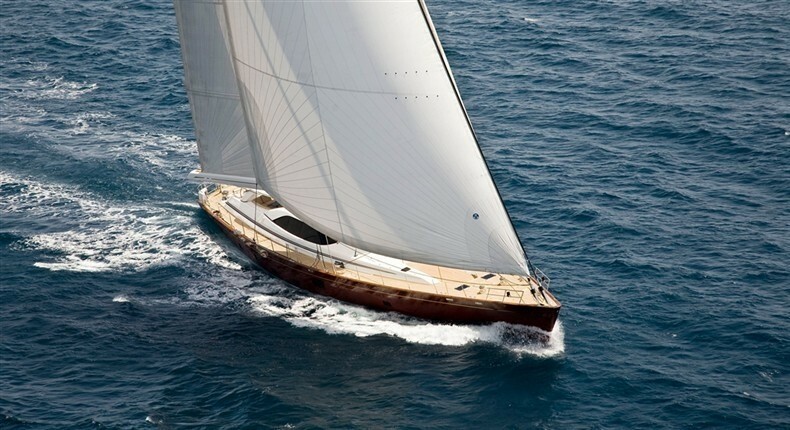 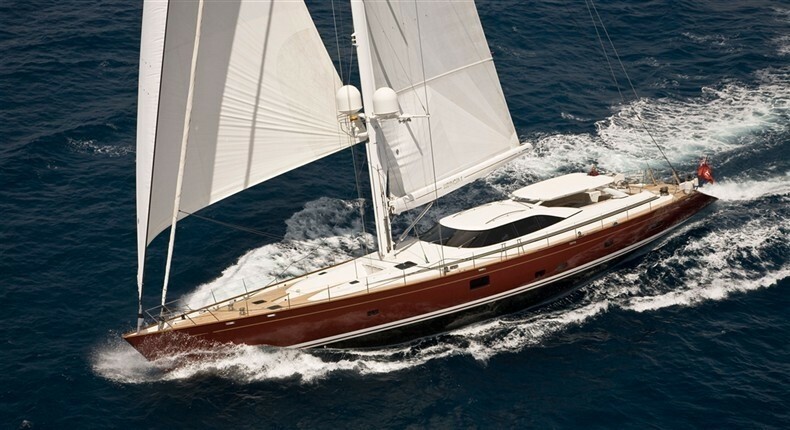 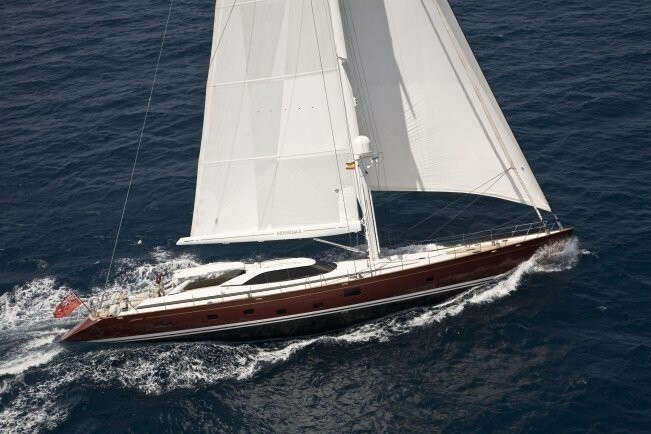 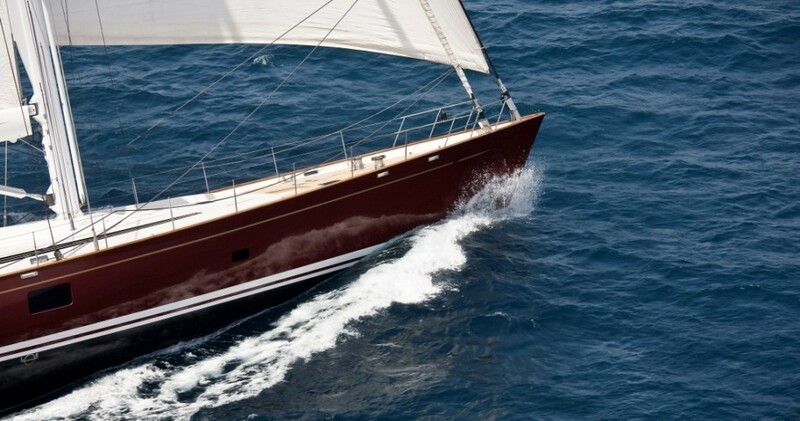 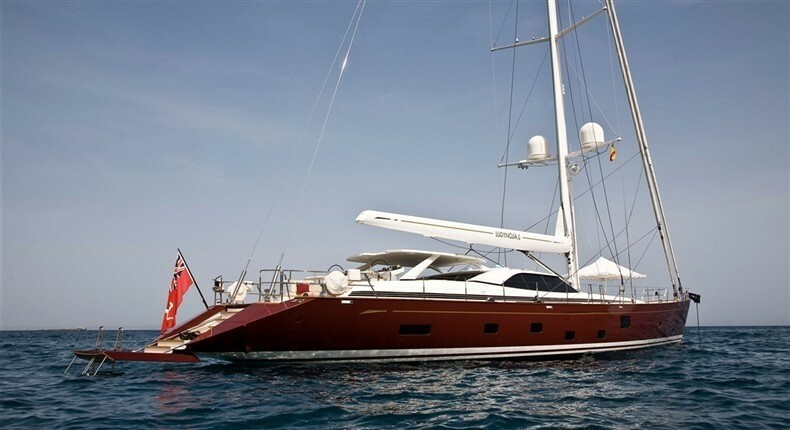 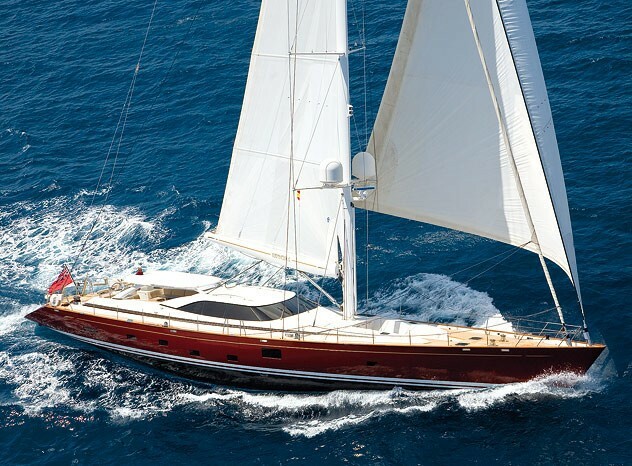 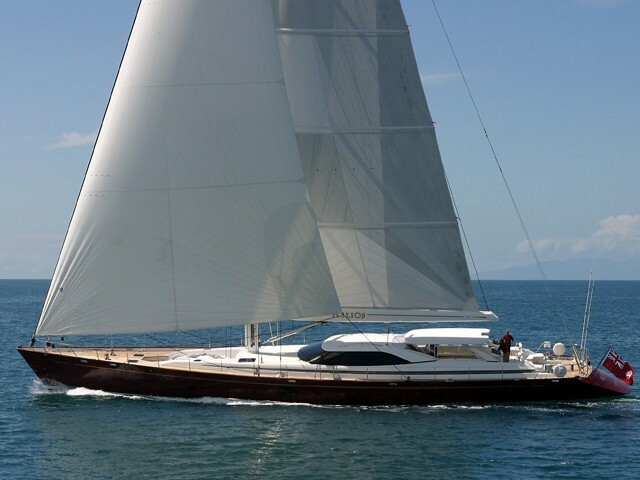 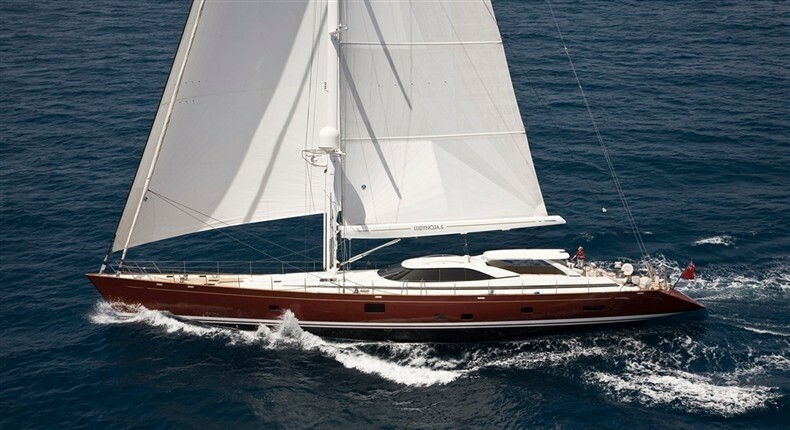 Sailing yacht LUDYNOSA G was is designed for comfortable cruising and has plenty of deck space. 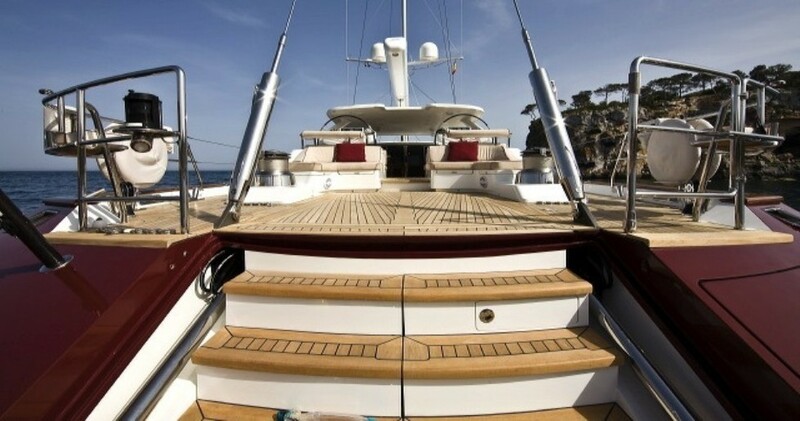 Her large tender sits in a well forward of the mast while the crew tender is stowed in the lazarette along with her many "toys". 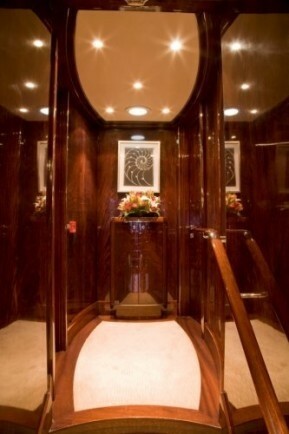 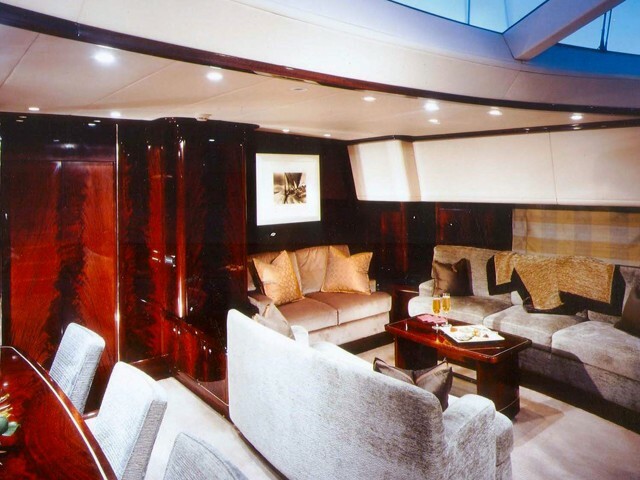 The transom can fold down to create a bathing platform revealing an opening staircase, which lifts up giving easy access to the lazarette. 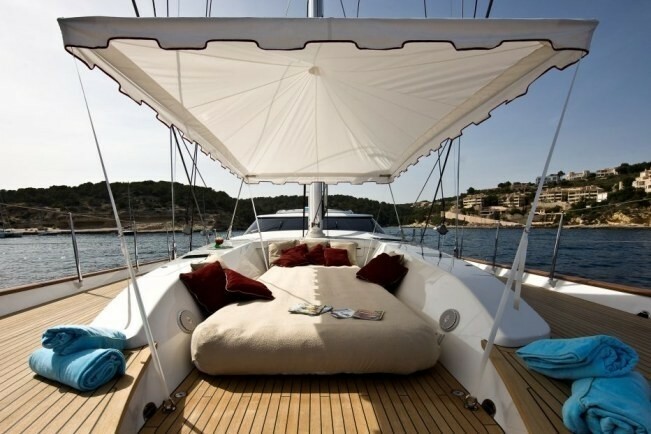 While at anchor, the tender can be placed in the water creating a perfect area for sunbathing or relaxing in the shade with a cool drink under the bimini (as seen in the photo above). 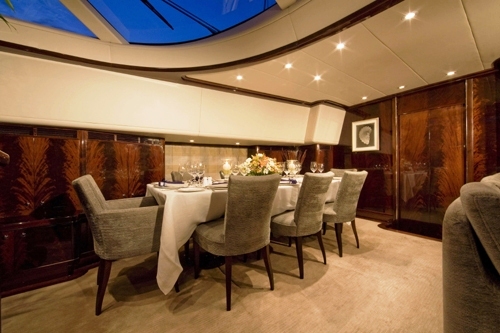 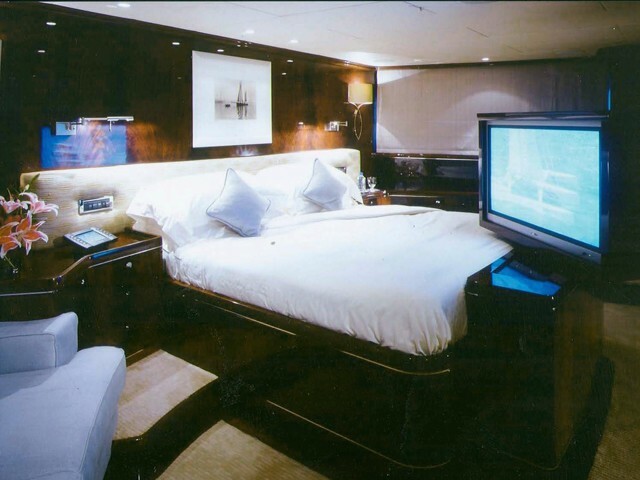 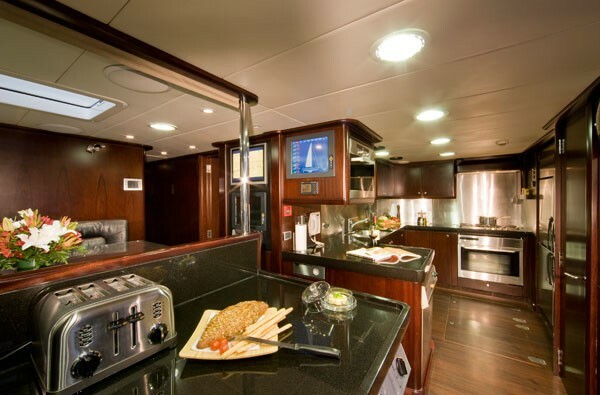 The aft cockpit has an informal dining setting for eight to port and two cocktail tables to starboard. 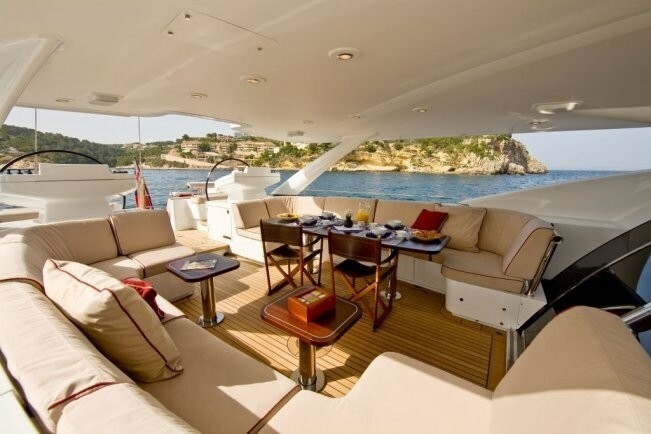 At night this area converts to an outside movie theatre with a drop down projector and a 50 inch screen. 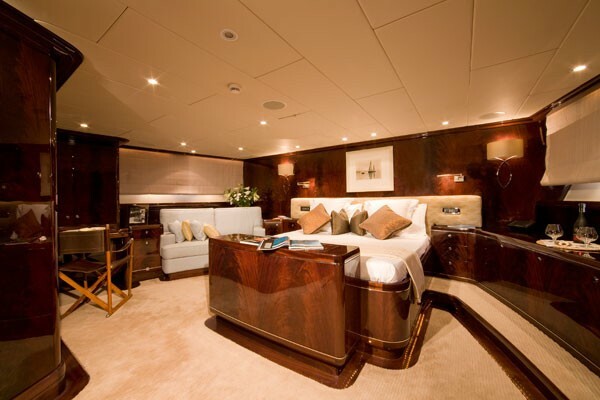 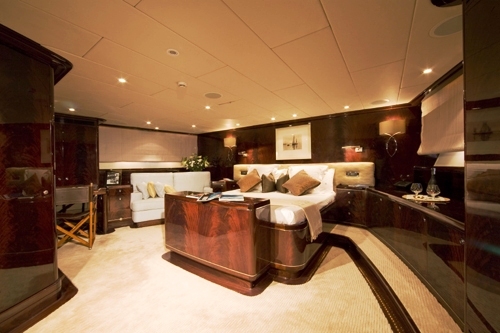 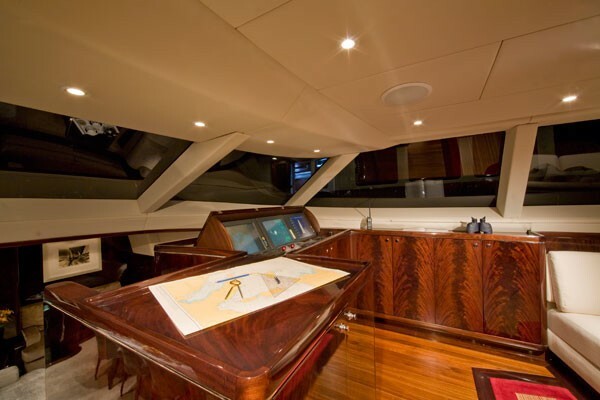 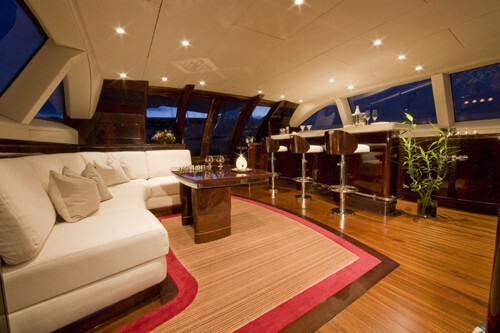 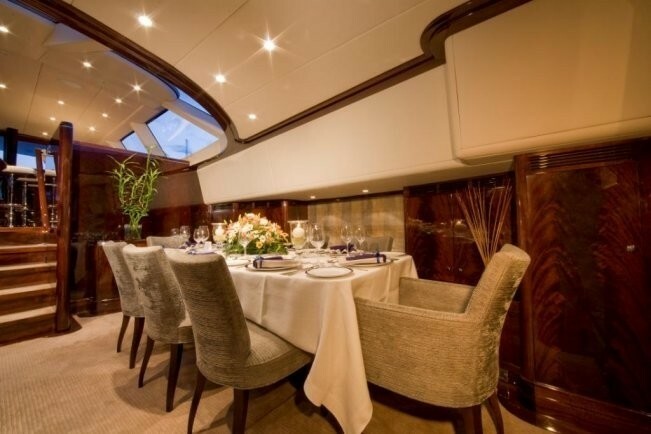 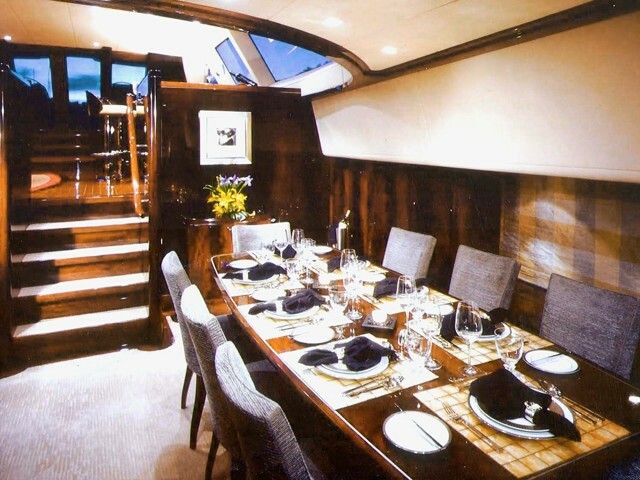 Sailing yacht LUDYNOSA G has an upper salon as well as a lower salon with an adjoining formal dining area. 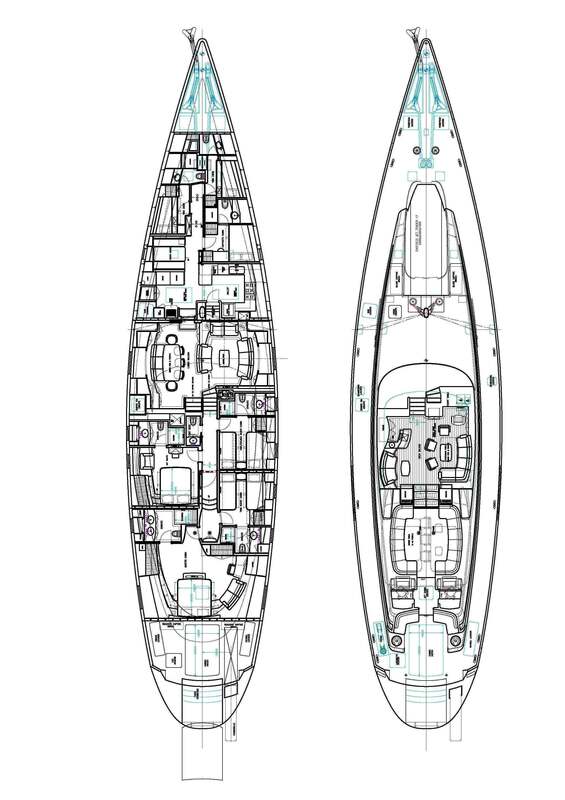 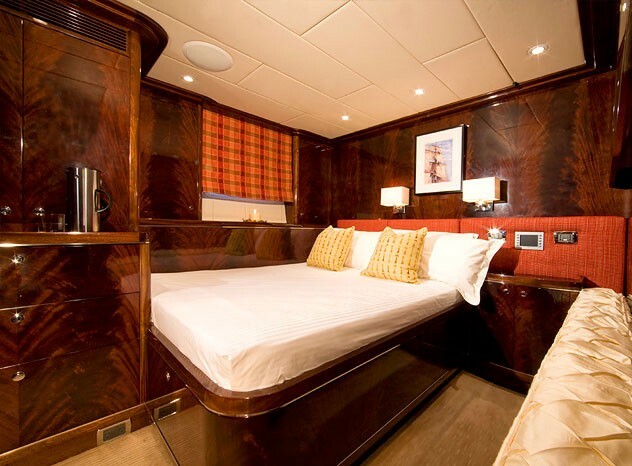 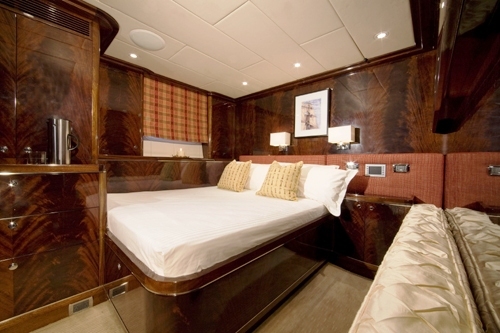 This luxury yacht has an aluminium hull a beam of 8.20m (26' 10") and a 4m (13.1ft) draft. 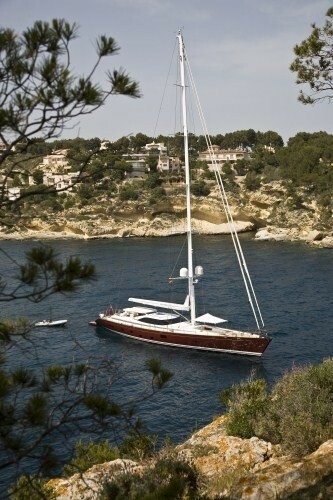 LUDYNOSA G is built to comply to MCA and LR standards and has a professional crew of 5. 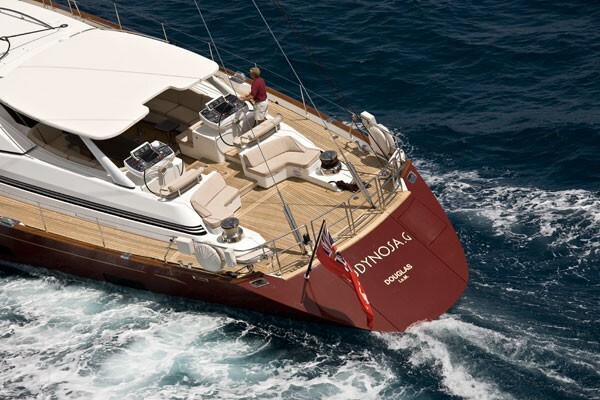 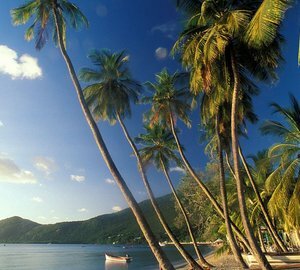 LUDYNOSA G cruises the waters of the Mediterranean and Caribbean. 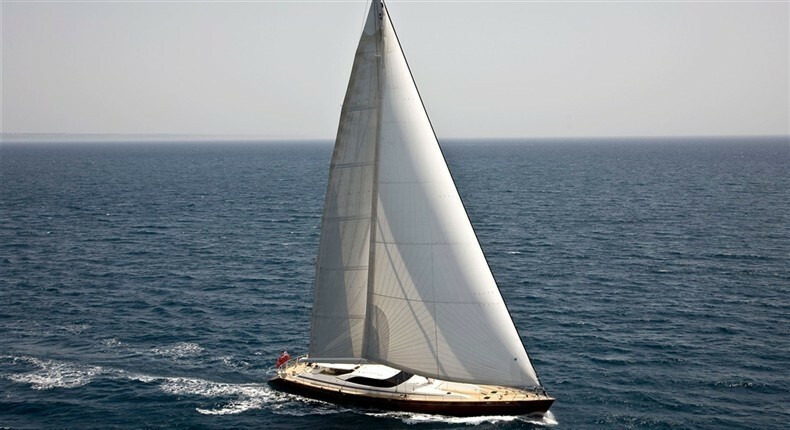 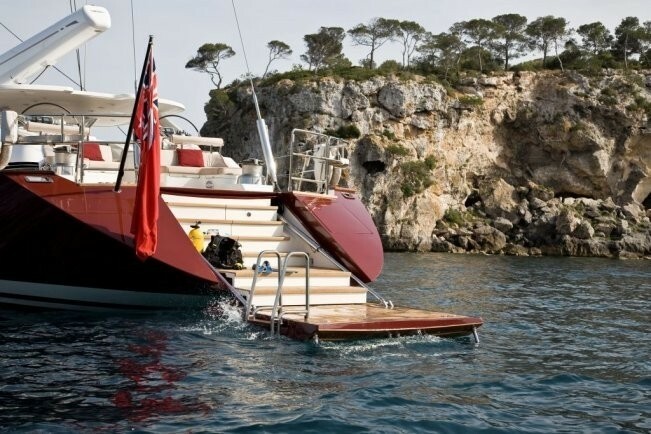 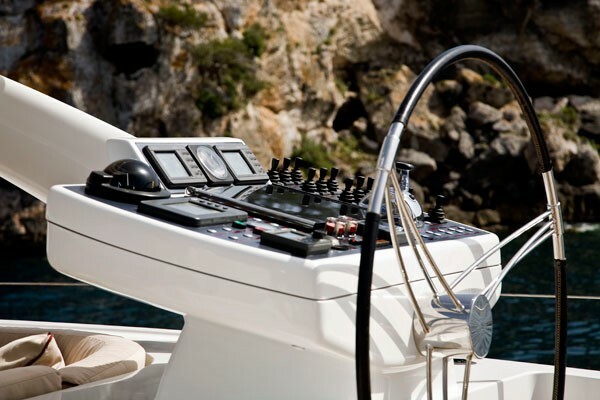 Sailing yacht LUDYNOSA G has a vast range of Tenders & Toys including a Castoldi jet Drive tender with 125 hp Yanmar engine, 3.8 m Honwave crew tender with 20 hp Honda engine, 2 water skis, 4 sets of fishing gear, a wakeboard, a kneeboard and a 3 person serpent banana tube.